Nicolas Mana is a right footer just as 82% of Panaitolikos. With a height of 1.78m, Nicolas Mana compares with Panaitolikos'' mean tallness. So far in the 2018/2019 season, he competed in 25 fixtures. Having been born in 1994, on March 25, his age of 25 makes him senior to the average player of Panaitolikos. 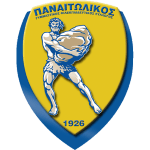 The club of Nicolas Mana, Panaitolikos, presently holds seventh position in Super League (Greece) and third position in group Gr. 3 of Greece Cup (Greece). In July 2018, Spanish forward Nicolas Mana joined Panaitolikos (Greece), whom he is still playing for. He plays with the jersey number 7. At 158.73lb, he carries 2lb less than the average Panaitolikos player. Besides Nicolas Mana, there are four more forwards in Panaitolikos'' lot: Alhassan Kamara, Admir Bajrovic, Stathis Vasiloudis and Vlad Morar. 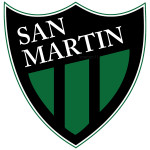 He was contracted to a few clubs during his professional career, one of them being Canuelas FC, for whom he played before coming to Greece. After an overall look at his career, we can see that he was substituted in 22 times but never out. In the active season, he was taken out more often just like in the previous one. Concerning the latest matches, Nicolas Mana's club lost in Super League plus lost in Greece Cup. His best season was Super League 18/19 (Greece), because in this year he had his highest success in terms of goals. Merely nine times a card was given to him in his tenure. 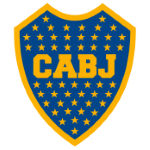 Nicolas Mana's longest stay in a team counts three years and 5 months in Boca Juniors (Argentina). He has shot at least one goal every season since becoming a professional football player. His shortest spell with a club currently counts nine months in his latest side. Throughout his professional career, Nicolas Mana participated in 61 games, the last appearance being four days ago. In the recent term, he managed to find the net three times and provided once additional assists which accounts for 9.4% of Panaitolikos'' goals in Super League 18/19 (Greece). He scored an average of 0.1 goals and provided 0 assists per game so far, marking a slightly improved performance when compared to last season, when he had 0.1 strikes and 0 assists per match.